I completely remember reading House of God when I was a new nurse and could hardly finish it as it hit such a nerve. I had discovered healthcare was not all that was presented in nursing school. Not since then has a book attempted to capture the true essence of our healthcare environment, until now. Basically, The Nurses is the House of God for the nursing profession. When the author promises to pull back the curtain, she did not disappoint and brought the life of a nurse to the forefront. The book follows a group of nurses at varied hospitals – only the names have been changed to protect the innocent. These nurses are easy to relate to and the hospitals are easy to identify – the snooty academic institution, the inner city hospital, the corporate giant, etc. Each chapter discusses a specific topic related to nursing – such as “Taking care of people who punch you in the face” and “How nurses cope – and why some crack”. The beginning of each topic follows the nurses through their experiences over the course of a year. It is then followed by a discussion into further detail, including current literature and news stories, peppered with interviews of real nurses. As I began to read the book, I was ready to put it down as the opening sequence detailed the death of a patient, followed by the care by the nurse for her patient and telling the family about the loss of a loved one. I was in tears by the end of the recitation as I have been that nurse many times over. To see it described in such detail was powerful and difficult to read. I honestly wasn’t sure I could finish the book as I kept thinking, “I get enough of this at work, do I really want to read about it?”. But, I continued to be drawn in by the stories and the huge sense of camaraderie with these nurses who told their stories. In fact, I had a hard time putting it down as I got drawn into their stories. I took it with me everywhere wanting to know what secret would be revealed next. As I continued to read The Nurses, I started to dog ear the pages I wanted to go back and share – soon I found half the book with folded corners and my husband tired of me reading my new favorite part! I can’t remember, since the House of God when I have read such a powerful book. The Nurses truly captured my profession. I felt like someone had followed me around for my career and took notes. I was constantly taken back at how descriptively Ms. Robbins captured this amazing profession. The joys, the tears, the struggles and the humor! If you are a nurse and have had trouble with your family understanding you, please get them this book!! If you are struggling with your career, please read this book and be reminded of how fantastic we as nurses really are (and the areas we can improve)! Personally, I think it should be required reading for all administrators – even if they were once a nurse – so much has changed. The struggle of nursing in our current healthcare world is incredible and much different from even just 10 years ago. The pressures placed on nurses by themselves, the patients and administration is unmeasurable, which is why most don’t understand the struggle. This book helps shed some light. Thank you Ms. Robbins in taking the time to showcase my fabulous profession! Thank you for being honest, yet showing the wonderfulness that is nursing. Thank you for truly pulling the curtain back and giving the reader real tangible things that can be done to support this profession. Thank you for reminding me how great we really are and why I am so proud of my profession! As a special gift to my readers, Ms. Robbins has graciously donated a copy to give to one lucky reader. Use the Rafflecopter below to get your own copy of The Nurses: A Year of Secrets, Drama and Miracles with the Heroes of the Hospital. 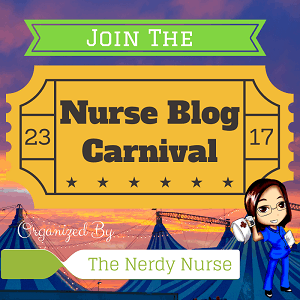 Fun Stuff, Patient Education, Student Nurses, Uncategorized book review, Nurses, Nursing, Nursing students. permalink. Sounds like a book my family needs to read to truly understand! Can’t wait to read this book! Sounds like a great holiday gift for our family members. It always helps to refresh ourselves as to why we were drawn to this profession, especially when change is a constant motion in today’s healthcare.